Follow us on our blog BigWorldAndSmallWorld on China travel, experience and story; or read a few sample blogs on this page. How to Tell: You are dealing with a factory or a trading company in China? Got a good Chinese name for your brand? As 2013 turning to an end, I went to Taiwan for a 7-day around the island tour. I saw many attractions and ate a lot of good food. Taiwan people are nice and warm. I like Taiwan, it was a delightful experience. 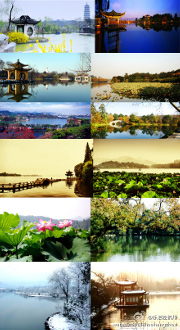 杭州八景 the eight famous scenes of Hangzhou is perfectly constructed in four small but precise and vivid Chinese words. These Chinese words paint a lovely picture on my mind. How can I translate them into English that still maintain the same beauty? I can’t! It’s a sad thing, isn’t it? But at least this is the best I can do. As I studied the four legendary Chinese stories (Niulang and Zhinv, Lady Meng Jiang cried the Great Wall, Butterfly Lovers, White Snake), I ran into Butterfly Lovers’ beautiful violin concerto. It was so amazingly moving and pure! The music led me to another sweet and heavenly Chinese music春江花月夜Blossoms on a Spring Moonlit Night. How could I resist such a pleasure to my ears? So I continued to find out the top 10 most well-known Chinese traditional music. 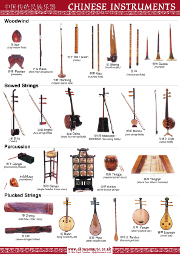 Five instruments play these music, they are古筝Guzhen,古琴 Guqin,琵琶Lute,二胡Erhu, and 洞箫Xiao. 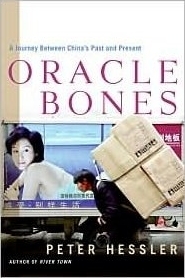 My thoughts on reading the book "Oracle Bones"
“Oracle Bones: A Journey Between China’s Past and Present” was written by an American journalist Peter Hessler. China from 1999 to 2004 was a period that sounded so familiar and yet so distant to me. I can very much relate to many things in the book. Thought 1: When I first came to the US, I used to say “peasant” all the time because that was what I have learned in school, rarely did I say “farmer”. So when I said peasant to my husband whose parents were farmers, he said: “Do you mean farmer?” There are big differences between Chinese peasants and US farmers especially in the areas of education and farming tools/methods. As the first generation immigrant from China, I was asked to speak at various events because people are fascinated by my story. Twenty one years ago when I came to this country, I had only $40 in my pocket. Against the odds of being laid off from a very large company in 2008, I came a long way from an engineer to be a business owner today. And the best of all, I realized my dream of doing something I truly like. I would summarize my American journey in two milestones. The first milestone was ten years into living in the United States, I had a very nice job with Eastman Kodak Company, a nice family with two boys, and a big house with no mortgage and no debt. The second milestone was twenty years into living in the United States, I lost my job but found my own company, our family grew with another addition: a baby boy, and financially we were doing very well. Every time I visit China, I like nothing better to go back soon. China's high mountains, elegant rivers, springs and waterfalls, rare animals and plants, numerous historical spots and sites, distinctive operas, music and dances, rich and varied folk customs and styles , and its world-renowned cuisine, this fascinating country attracts a large number of domestic and foreign tourists even me a China native. This summer our family went on a Silk Road journey that stretched through the entire northwest region of China. The Silk Road was opened about 138 BC in Western Han Dynasty and gradually over a thousand years built both sea and land routes stretched more than 7000 miles from Chang’an (now Xian) to the Mediterranean Sea. The purpose of the Silk Road was to trade China’s silk, tea, spices, pottery and Chinese inventions with Western’s horses, linen, seeds, plants and new ideas. Nobody traveled the entire Silk Road and camel was used to transport goods and people. 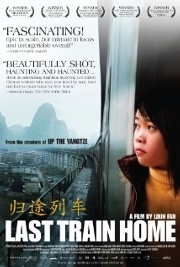 The last Dynasty the Qing Dynasty finally closed the trade routes. Besides climbing the Great Wall and seeing thousands of human-size Terra Cotta Warriors and Horses, our family found some favorite places along the Silk Road. Turpan basin is located in the Valley of Tian Mountain’s east range. In Uygur, an ethnic group of China, Turpan means the low ground. In fact this place is 500 meters below sea level and is the second lowest place in the world after the Dead Sea. Green pearl-like grapes grow abundant in Turpan and grapes are what this place is famous for. We took a nice stroll at a grape valley shaded by thousands of grape vines. We visited a underground well museum and got a glimpse of the massive underground well system that keeps water supply to this region’s grape growers. We even tasted freshly squeezed grape juice. It was so yummy! The scenic area of Mingsha Mountain and Crescent Spring is located 5 km south of Dunhuang city. The name of Mingsha Mountain came from the echoing sound produced by the moving sand. Within Mingsha Mountain lies the Crescent Spring which resembles a crescent fallen down into the dessert. Being a place where spring meets desert, the area is a natural spectacle and has been known as a “desert wonder” from ancient to modern times. Climbing the sand mountain was a challenge, however the view from the top was definitely rewarding. We also rode the camels for the first time in our life. It was a lot of fun! The Mogao Grottoes, commonly known as the “Thousand Buddha Caves”, are located 25 km southeast of Dunhuang city. There are 735 existing caves of various shapes from ten dynasties, and the caves contain some 45000 sq meter of murals and 2400 painted sculptures. At any given day, only 30+ caves are open to the tourists. We saw a huge stone Buddha statue (over 30 foot tall) and a 20 foot lying Buddha statue. The murals and sculptures were colorful and vivid; we were amazed by ancient Chinese’s skills and craftsmanship. The movie “Shanghai” ended with the actor’s voice echoing over the Huangpu River “I liked Shanghai so much and I returned…” The end of 1930’s and the beginning of 1940’s, Shanghai was a playground for spy, soldier, foreigner, gangster, communist and capitalist all-kind. In the midst of turmoil, common people went to work as usual, retailers, movie theatres and night clubs were still open, and rickshaws and trolley buses were hustling on the narrow streets. Shanghai is China’s largest industrial city and business center. Once you step your foot on the ground, you will feel its energy and excitement. Modern colossal buildings draw the skyline of Shanghai yet hiding among them there are many themed boutique hotels and streets let you see and experience the old time atmosphere. Among them The Mansion Hotel is at the top of the accommodation list. The villa was originally designed by French architect Lafayette in 1932 and was owned by a partner of infamous Shanghai syndicate boss Du Yue Sheng until 1949. Now it is an important historical building to operate legitimate businesses and host the cities most extravagant parties at night. To visit the hotel’s elegant 1930’s lobby and to eat at its rooftop restaurant are highly recommended when you visit Shanghai. Xintiandi (literally means “new heaven and earth”), the old French Concession district of Shanghai, is another very popular shopping and dining place. Interesting old city Shiku Gate (also called Shanghai Alley) were turned into mixed Chinese-European styles. Several famous Chinese’s residences are open for visitors including Sun Yat-sen’s Former Residence, Premier Zhou Enlai’s Former Residence, and Soong Ching Ling’s Former Residence. Clark and I have been to the Great Wall in 1995, but this time we went to the Mutianyu section of the Great Wall. It hardly had any people. The view of the Great Wall stretched along the lush green mountaintops was breathtaking. We saw a wedding group taking wedding photos on the Wall. Good choice of a perfect spot! We went to a local restaurant for lunch. It was a nice place for dumplings. We tasted ten different kinds of stuffing; most of them were vegetables with only one meat stuffing that the kids liked. On the way to Heavenly Lake, we stopped at the roadside to look at a yurt (a tentlike dwelling of the Mongol and Turkic peoples of central Asia). Inside it was huge, large enough to comfortably sleep a dozen people. It was beautifully decorated with colorful carpets. The yurt was located on a scenic creek bank side. When winter comes, the nomad’s family just takes down the entire yurt, packs it and moves to warm grounds, next summer the family returns to the same spot and sets up the yurt again. Sitting on top of a hill overlooking the Heavenly Lake, there was a Daoism Monastery we visited. It was so peaceful and beautiful there, truly heavenly. Turpan was hot. We stayed at the Huozhou Hotel. Huozhou 火洲in Chinese means Fire State. Our room had a see-through glass wall bathroom, it was really cool. This was the first time we saw this kind of bathroom. Our overnight train ticket had some issues. In fact we did not even have a train ticket. Our guide had to bribe several staff on the train with cigarettes and money so that we can get on the train with soft-sleep beds. Only a Chinese can handle this situation, westerners can’t even imagine what to do. Because of the ticket issue, a couple of us had to move from one compartment to another in the middle of the night; we did not sleep much. Jiayuguan Pass was the first pass to Hexi corridor. People traveling westward must pass this fort in ancient times. Compared to Fort Snelling, Jiayuguan was huge. It housed one thousand soldiers and horses in ancient times. We had our first camel ride at the Singing Sand Mountains and Crescent Moon Spring. It was fantastic! Most camels had two humps. We learned that the camels with standing humps were the healthy ones while those with hanging humps were not. At Mogao Grottoes we saw a huge (over 30 foot tall) Buddha stone statue and a 26 foot lying Buddha statue. The Grottoes have over 700 caves, but at any given day only 30 caves are open for tourists. Dunhuang night market was a nice place to go. It had all kinds of spices, artworks and food. We particularly liked the local art and bought one wooden carving tiger for CNY800. The tiger looked so real, it was cool. Seeing the artist working on their projects in the market was definitely eye opening. We have been reading Chinese/English signs at places we went to. Here were the funniest ones we have seen. “Grapes and fruits taste the spot” in Chinese 葡萄水果品尝点，in proper English it should be something like this “This is the spot to taste grapes and fruits”. “Watch for ladders” in Chinese 小心台阶，there was no ladder rather there were some steps, in proper English it should be “Watch for your steps”. “Be careful of landslide” in Chinese 小心地滑，in proper English it should be “Floor slippery, be careful!” This sign on a bathroom door made us laugh for a long time. Two days in a row we traveled to different states; we were tired. 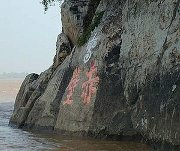 Taking a speedboat ride on the Yellow River was an interesting experience on its own. The 45-minute one-way ride was scary considering the boat was tiny and completely enclosed with eight people trapped inside for a long time; not to mention on the way back the driver told us he saw a dead body floating on the water. However the serene Bingling Cave Temple hidden in the mountains along the Yellow River was worthwhile to see. Water buffaloes were happily resting in the valley where caves, mountains and river meet, it was picturesque! There was no other way to get to the Bingling Cave Temple, so we had to take the speedboat. After daily breakfast buffet and banquet style Chinese lunch, McDonald’s sounded so good to us. We often craved for ice cream on the trip and that was our supper. In Shanghai we departed with the rest of the group. Shanghai is my hometown. We still had a few days before we heading back to the States. One day we went to a nearby water town called Wuzhen. It rained and such moments appeared in many Chinese literatures “beautiful Jiangnan in the rain 雨中的江南是很美的”. On the last day in Shanghai, a Typhoon hit the city and we got heavy rain for hours and hours. It reminded me how much I loved Typhoon weather when I was a child in the hot and humid over 100-degree days when the only cooling device we had was the fan in the house. It felt so nice and cool during Typhoon. When I was young, I learned these classic Chinese literatures. One of them is the famous Dang dynasty poem from Wang Wei “A Song at Weicheng” and another one is one of the four Chinese classic novels “Journey to the West” from the 16th century. My trip to the Silk Road three weeks ago made all these literatures into reality. 客舍青青柳色新。Willows are green again in the tavern dooryard…. 西出阳关无故人。West of Yang Gate there’ll be no old friends. I was able to see the so called Yang Gate 阳关 at Jiayuguan 嘉裕关and the nearby Jade Gate 玉门关. These gates together marked the boundaries between ancient China 中国 and the surrounding barbarians. West of the gates was desert while east of the gates was the civilized China in old days. Making the geographic connection allows me to fully understand the true meaning of “West of Yang Gate there’ll be no old friends”. One of the most famous characters in Journey to the West 西游记was the Monkey King孙吾空. In one of the episode, the Monkey King had to pass the Flaming Mountain火焰山with his crew. The only way to pass the Mountain was to borrow a super fan from a powerful person. I thought the Flaming Mountain火焰山was existed only in literature when I was young. But there is the real Flaming Mountain in Xinjiang province that I saw this time. The red sandy mountain under the sun is breathtakingly beautiful. Not only did we find the real Flaming Mountain, we also went to Guazhou 瓜州. In Journey to the West, the Monkey King also went to Guazhou 瓜州. We tasted sweet melon at Guazhou, maybe that is why it is called Guazhou because melon in Chinese is Gua瓜. By the way, if you don’t know what Four Chinese Classic Novels are, they are: Romance of the Three Kingdoms 三國演義, Water Margin 水滸傳, Journey to the West 西遊記 and Dream of the Red Chamber 紅樓夢. Happy learning because what you have learned. After watching the movie “Red Cliff”, I thought about the famous Battle of the Red Cliff in Chinese history immediately prior to the Three Kingdoms era around the winter of 208/9 AD. The movie is fascinating and entertaining. Several famous actors and actresses from Mainland China, Hong Kong and Taiwan worked together to make this movie even more worthy of watching. Probably every Chinese child read Romance of the Three Kingdoms 三國演義, one of the Four Great Classical Novels of Chinese literature, can tell you the result of the battle where the movie “Red Cliff” came to an sudden end just before the battle. A small army of Zhou Yu and Zhu Ge Liang defeated a much larger army led by Cao Cao through courage and well-planned strategies. These strategies are enormously witty even today’s business world can use some. Three well-known people throughout Chinese history were involved in the battle: Zhou Yu 周瑜, Zhu Ge Liang 诸葛亮, and Cao Cao 曹操. While you can find many records on who they were and how they contributed to the Chinese history, I though of Zhu Ge Liang as calm, full of wisdom, and a war and political strategist, Zhou Yu as an excellent army commander and a handsome man who died early, and Cao Cao as a proud man, with no fear, and knew how to use his power and army to his political advancement. Among the three, Zhu Ge Liang is my favorite. Many stories of him captivated my imagination throughout my childhood. Celebrate the year of the Tiger, beginning February 14. Walking along the Great Wall in Beijing; riding man-peddled wooden boat on the Grand Canal in a water village; and taking martial art training at the famous Shaolin Monastery Institute, China is a cultural and experiential destination for families and individuals. The Yangtze River, along with the Yellow River, is the origin of Chinese civilization. From melting glacial waters in Tibet to the East China Sea at Shanghai, the world’s third longest river runs almost 4000 miles and divides the country into northern China and southern China. On the cruise, you will see the spectacular Three Gorges, many archaeological and cultural sites, and the largest hydroelectric power station in the world: the Three Gorges Dam. Built in 210 BC by the first emperor Qin Shi Huang, the Great Wall stretches for more than 5500 miles. While walking on the Great Wall is very popular at Badaling, you can also take a day or two to trek the less popular but rather impressive Mutianyu, Jinshanling, and Simatai. The world’s fifth largest desert is along the Silk Road, a route through which China opened its door to the West in the Han Dynasty. Today’s Xinjiang province has several legendary sites such as Mogao Cave in Dunhuang, the Heavenly Lake in Urumqi and Flaming Mountain, a well-known 16th century Chinese classic and scenic Journey to the West spot in Turpan. Chinese like to give tea as a gift to friend and family. If you are one of the lucky Americans who get this gift, what will you do? Tea lovers will drink it and enjoy it while others although appreciate the gift may re-gift it to give it away. Many people don’t know how to deal with loose tea leaf. I am not a serious tea drinker so I understand that. No matter which level you are at with tea drinking, it doesn’t hurt to have some tea knowledge. medical and drinking purposes. There are four major tea categories: white, green, oolong and black. Among them, green tea is the most popular. Chinese flower tea (花茶), while popular, is not a true tea. In fact, flower tea is one of my favorite. It is so refreshing and fragrant. Famous Chinese teas are: Jiansu province’s Bi Luo Chun (碧螺春), Zhejiang province’s Gunpowder (珠), Hangzhou’s Long Jing (龙井, Dragon Well), Anhui province’s Huang Shan Mao Feng (黄山毛峰), Hunan province’s Jun Shan Yin Zhen (君山銀針), Anhui province’s Keemun black teas (祁门), Anhui province’s Liu An Gua Pian (六安瓜片, Melon seed), Sichuan province’s Meng Ding Gan Lu (蒙頂), Hunan province’s Silver Needle, Fujian province’s Wu Yi Yan Cha (Rock Oolong), Henan province’s Xin Yang Mao Jian (信阳毛尖, Green tip), and Yunnan province’s Puer teas (普洱茶). Among them, some are yellow tea and some grow on the mountains. Some people believe the first year tea is the best. I bought a 7-year old compacted Puer tea on a trip to southern China. I was told if I drink it after a meal, it has a diet effect because this tea absorbs fat. Chinese tea culture also includes exquisite tea-set used to serve tea and nice tea houses for people to get together. Almost on any China trip, you have the opportunity to taste tea. What a great way to find out on your own what Chinese tea is like! For serious tea drinkers, there are also special tea trips to cater your love of Chinese tea. So cheers with Chinese tea, for good health or simply for pleasure.